There are so many great events going on this week, it’s hard to limit our picks this week. Lucky you, we’ve included a couple extras just in case you’re feeling extra social this week. And why wouldn’t you? It’s summer time, the weather is fine, and we’ve hand selected these awesome events just for you. So what’s on the radar this week? Summer dance party, NuLu block party, parade of Kentucky Colonels, no big deal. Plenty of reasons to get out and explore this fine city of ours. Looking for more events? Check out the local calendars on our events page. Thursday (6/20) Voice-Tribune’s Third Thursday After-Work Party – Join the Voice Tribune for our summer celebration by the Ohio River, Captain’s Quarters to be exact. Free and open to the public. Featuring an appetizer buffet plus give-aways, drink specials and DJ Jaybird, so get ready to get your dance on. Thursday (6/20) Women and Kentucky Bourbon – A History – Join the Bourbon Women Association evening at the Filson Historical Society exploring the history of women and bourbon featuring guest speakers, bourbon tastings and cocktails, rafts of hors d’oeuvres, and bourbon-related books for sale. Tickets are $35. Friday (6/21) NuLu Pop-up Fridays -The NuLu Business Association is hosting weekly Friday night surprise musical guests for “Pop-Up” performances throughout the summer, starting this weekend. Free live outdoor music entertainment provided by surprise, to-be-announced, renowned local artists in the front of The Green Building parking lot. Friday (6/21) Sustainable Series Tactical Urbanism – Join Urban Design Studio at Fresh Start Growers Supply for an engaging round table discussion about Tactical Urbanism with moderator Gabe Bullard, Mike Lydon, and several local panelists. Holy Molé Taco Truck and French Indo-Canada food trucks will be servin’ up food. RSVP here. Saturday (6/22) Tactical Urbanism Block Party – Help Urban Design Studio, Vision Louisville, Downtown Development Corporation temporarily transform the 800 Block of East Market into a walkable and vibrant streetscape utilizing tactical urbanism techniques. Free and open to the public. Volunteers needed, register today! Saturday (6/22) March of the Colonels – When people ask why you live in Louisville? It’s because of awesome things like this. A parade of Kentucky Colonels marching behind a Wax Colonel Sanders in a remote controlled Hoveround down East Market Street in NuLu. Yeah, you don’t want to miss this. And Happy 8th Anniversary WHY Louisville! Sunday (6/23) Taste of Frankfort Ave – food tastings from more than two dozen Frankfort Avenue’s finest restaurants, as well as a cash bar, live music, and a silent auction. Tickets are $50. New this year is the “After Taste” party (a sweet deal at $5), starting at 7:30 pm featuring local bands on the outdoor stage. Sunday (6/23) Brandi Carlile – So remember when we mentioned the great lineup of artists coming up at Iroquois Amphitheater? Well, Brandi Carlile is finally here to kick things off this Sunday evening! Doors open at 6:30 pm and show starts at 7:30 pm. Tickets are still available and only $30. Enjoy amazing night of music and friends in one of our city’s greatest summer venues. 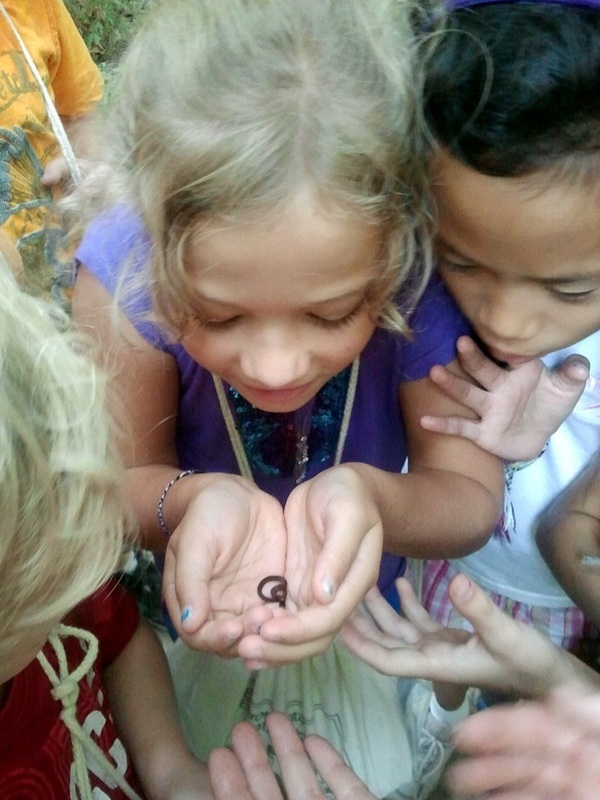 Jefferson Memorial Forest summer camps are filling up fast — reserve your space now! Several camps are already full, but there’s still time to enroll your 13 to 15-year old teen in “ECO Extreme”, an adventure camp that includes an overnight camping trip! “Art in Nature” pairs the Forest with the Louisville Visual Art Association for a unique camp experience for kids entering the 3rd through 5th grade. And for the little ones, ages 5 and 6, there’s “Forest Explorers”, a camp filled with stories, crafts and hands-on experiences in nature. get to know the men and women who protect and serve you every day. No TBUTs from Auto on Beat 1, 2, 5!!! No Auto Thefts on Beat 2!!! No Robberies on Beat 5,6!! !No Burglaries on Beat 5! Cmon, be a Man… a Wheelman ! The Beechmont Womans Club 4516 S. 6th. St. Lunch will be a BBQ Pork or Chicken Sandwich and will include Slaw and Chips for $6.50 a plate.